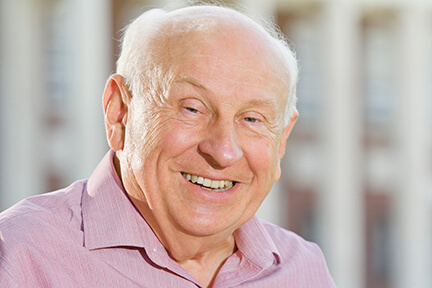 Walter L. Sikorski ’62 arrived at The College of New Jersey in 1958 with a singular purpose: he wanted to become a teacher. More than 50 years later, and with an expansive education career now behind him, he is still deeply tied to the college—and a committed donor, too. As he’s quick to point out, alma mater translates to your other mother. Sikorski spent 35 years teaching English in New Jersey public schools, from South Brunswick to Trenton to North Brunswick. He helped his students unravel Romeo and Juliet, The Great Gatsby, Great Expectations and other classics. He also stayed connected to TCNJ through visits to campus and as a member—and eventual president—of the Alumni Association. In 2010, Sikorski took another step in caring for his other mother. He elected to establish his first charitable gift annuity, which provides him with income for life and will ultimately support the School of Education. Since then, he has created eight more. He says he’s both nostalgic and proud when he returns to campus now. “I have fond memories of my own time there, and I think the college has evolved in a very positive manner under [President] Barbara Gitenstein’s leadership,” he adds. That’s why he added yet another layer to his support for the college recently, as chair of the School of Education Committee for The Campaign for TCNJ.